AdvoWaste is New Jersey's local alternative to professional, safe and reliable NJ medical waste disposal services. We handle all types of biohazardous waste and sharps removal for a wide variety of facilities in NJ. Call us for a quick, hassle-free quote now at 855-678-1098.
and More NJ Medical Waste Services. and More NJ Medical Waste Clients. 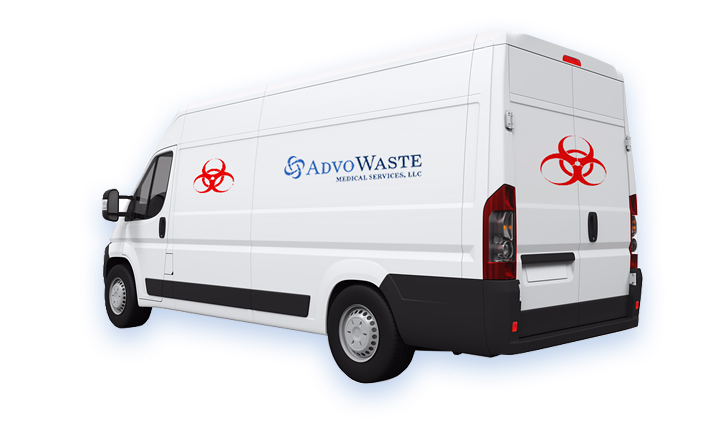 See how Advo Medical Waste beats the competition in New Jersey. Our service is much better than the competition. We offer quick and professional medical waste pickup services - with the flexibility you need to meet your company's busy needs. We guarantee to save you at least 30% off of your current local NJ medical waste disposal company. We will provide you with an accurate price with a quick over the phone quote. AdvoWaste is a fully licensed and insured NJ medical waste disposal company in NJ. We guarantee to remain in 100% full compliance. 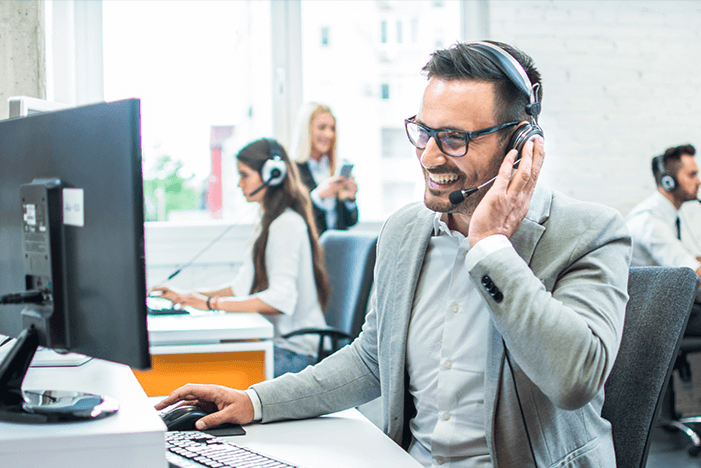 Our highly skilled and professional staff can conduct a compliance review of your facility as well as train your employees in proper handling and disposing of medical waste and in your office. All of our employees are highly trained and certified in handling and disposing of your NJ medical waste and sharps. They have passed background checks and are subject to random drug tests to ensure that we have the highest quality employees. NJ Biohazardous waste disposal classifications includes needles / sharps, chemotherapy waste, pathological waste, biological waste, cultures and stocks of infectious agents, discarded medical equipment and parts and more. Biomedical waste is contained in a manner and location which provides protection from animals, the weather, does not provide a breeding place for insects or rodents, and minimizes any exposure to the public. The containers shall be labeled with the biohazard symbol so that it is readily visible from any direction. NJ Biohazardous waste must be stored in rigid containers leak proof containers and securely closed before transportation. We are the leading NJ sharps disposal company. Visit this page to find sharps disposal locations in NJ. We proudly serve the following cities: Newark NJ, Jersey City NJ, Paterson NJ, Elizabeth NJ, Trenton NJ, Clifton NJ, Camden NJ, Passaic NJ, Union City NJ, East Orange NJ, Bayonne NJ, Vineland NJ, New Brunswick, Perth Amboy NJ, Hoboken NJ, Hackensack NJ, Sayreville NJ, Kearny NJ, Linden NJ, Atlantic City, Fort Lee NJ, Fair Lawn NJ, Ridgewood NJ, Englewood NJ, Paramus NJ, Lodi NJ, Long Branch NJ, Garfield NJ, Wesfield, Millville NJ, Rahway NJ, Bergenfield NJ, Bridgetown NJ, Cliffside Park NJ, South Plainfield NJ, Carteret NJ, North Plainfield NJ, Roselle NJ, Pleasantville NJ, Palisades Park NJ, Elmwood Park NJ, Hawthorne NJ, Glassboro NJ, Morristown NJ, Point Pleasant NJ, Dover NJ, Rutherford NJ, Tinton Falls NJ, Dumont NJ, New Milford NJ, Secaucus NJ, Edison NJ, Lakewood NJ, Asbury Park NJ, Summit NJ and more local NNJ (Northern New Jersey), CNJ (Central New Jersey) and SNJ (Southern New Jersey) medical waste service areas. New Jersey is a US state in the Northeastern region of the United States. It is a peninsula that is bordered by New York to the north and east, by the Atlantic Ocean to the south and the west by Pennsylvania. 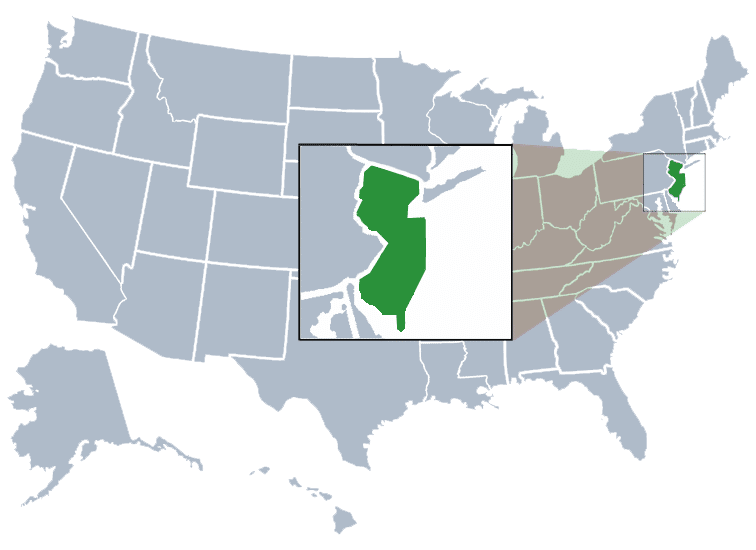 New Jersey is the fourth smallest state by area and is the 11th most populous and most densely populated of the 50 US States. New Jersey is the second wealthiest US state. The five cities and towns that have the highest number of residents in New Jersey include, Jersey City, Newark, Franklin Township, Somerset County, Elizabeth, and Monroe Township, Middlesex County. New Jersey is home to a few different museums and theme parks. Some of the museums include, Thomas Edison Museum is located in Menlo Park, Newark Museum is located in Newark, Liberty Science Center is located in Liberty State Park in Jersey City, and Maywood Station Museum located in Maywood. A few of the theme parks include, Casino Pier located in Seaside Heights, Morey’s Piers located in Wildwood, Six Flags Great Adventure, located in Jackson, and Clementon Amusement Park, located in Clementon. New Jersey is the birthplace to many different modern inventions. A few of the inventions include the motion picture camera, the light bulb, the electric train, the FM radio, and the lithium battery. A few other New Jersey creations are, cranberry sauce, the postcard, the seedless watermelon, the drive-in movie, and the first use of a submarine in warfare. With 130 miles of beaches on the Atlantic coast, New Jersey offers wide variety of recreational options. Although it is densely populated, New Jersey has beautiful mountain ranges and charming coastal towns throughout the whole state. With just a short commute into New York City and Philadelphia, New Jersey is a central hub for getting the best of both suburban living and city fun. New Jersey is a peninsula in the Mid-Atlantic region of the Northeast part of the United States. It is the most densely populated state in the US and the 11th most populous, home to approximately 9 million residents. New Jersey was inhabited by Native American Indians for more than 2,800 years with many tribes across the coast. The Dutch were the first Europeans to claim the New Jersey lands. New Jersey was one of the 13 first colonies that revolted against British rule in the American Revolution. During the American Revolutionary War, British and American armies crossed New Jersey numerous times, and several pivotal battles took place in the state. New Jersey became the last northern state to abolish new slavery and enacted legislation that slowly phased out existing slavery. This led to a gradual decrease of the slave population. New Jersey is one of the most ethnically and religiously diverse states in the country. The United States Census Bureau, as of July 1, 2015, estimated New Jersey's population at 8,958,013. The Jersey Shore includes notable resort towns like historic Asbury Park and Cape May, with its preserved Victorian buildings that date back many years. Prior to that, New Jersey was occupied by Native Americans for more than 2,800 years. Later, New Jersey began to boom with the development of factories in the north. On the contrary, forests cover over 45% of the state. In the north the oak trees are prominent and in the south the pine trees make up what are known as the Pine Barrens. New Jersey has a corner of something for everyone. Bergen County, Middlesex County, Essex County, Hudson County, Monmouth County, Ocean County, Union County, Passaic County, Camden County and Morris County in NJ.